Danielle Trofe Design is a Brooklyn-based design studio that promotes a function-forward, sustainable and socially responsible approach to furniture and lighting design. By harnessing innovative technologies and material sciences to create functional and accessible design, Danielle aims to encourage a departure from conventional materials and production techniques in search of long-term, sustainable solutions. Danielle Trofe is part of the Autodesk Entrepreneur Impact Program, which helps entrepreneurs and startups making a positive impact in the world get to market faster through access to free software, training, events, and co-marketing opportunities. Tell us more about your design background and current design work. How did you become interested in product design and the use of green materials? How did your education and what you learned in school influence your work? I received a bachelor’s degree in marketing and entrepreneurship from Florida State University before changing career paths and making my way into the design field where I graduated with a master’s degree in Interior Design from the Florence Design Academy. I’m currently pursuing a second master’s degree in Biomimicry from Arizona State University (online). After graduating from design school in Italy, I returned to the U.S., where I worked for two years as a design and sales representative for designer Kenneth Cobonpue and design collective HIVE, both based in the Philippines. I found great inspiration from the modern aesthetic and use of sustainable materials of these high-end furniture and lighting brands and found that they aligned well with my own design vision. A furniture design internship brought me hands-on experience with a small, sustainable start-up brand and allowed me to live and work in Brooklyn, NY. 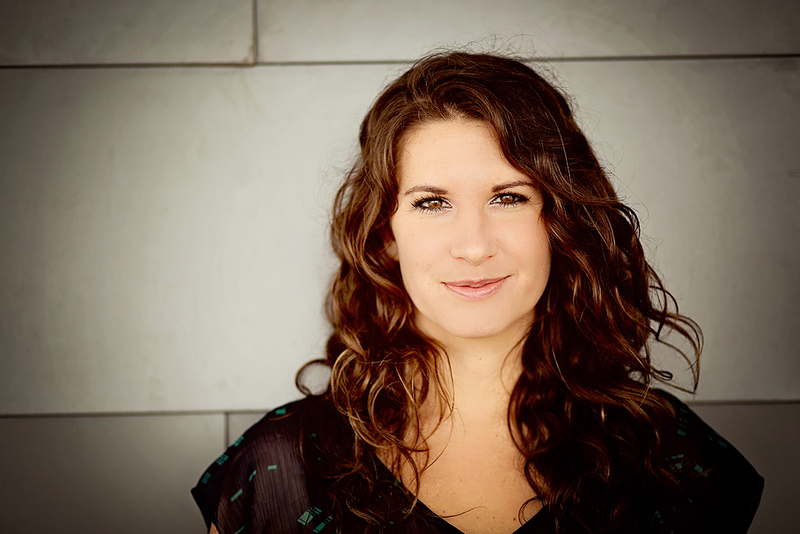 I started my design studio, Danielle Trofe Design in 2011, with an aim to promote function-forward sustainable design. Aside from my childhood dream of becoming a mechanical engineer and inventor, I had not thought that I would end up in product design. In fact, I hardly even knew what or how that was an occupation until I took a furniture design course during my master’s degree and learned to use 3D modeling software. I cannot draw. I cannot sketch. You do not want me on your Pictionary team. But 3D modeling I can do. It was during this furniture design course that I realized where my passions lay: product design. I didn’t want to arrange interior objects, furniture and lighting in a room, I wanted to design and make all those things. The first 3D program that I learned to use was Autodesk 3ds Max. It really did change the trajectory of my career path. 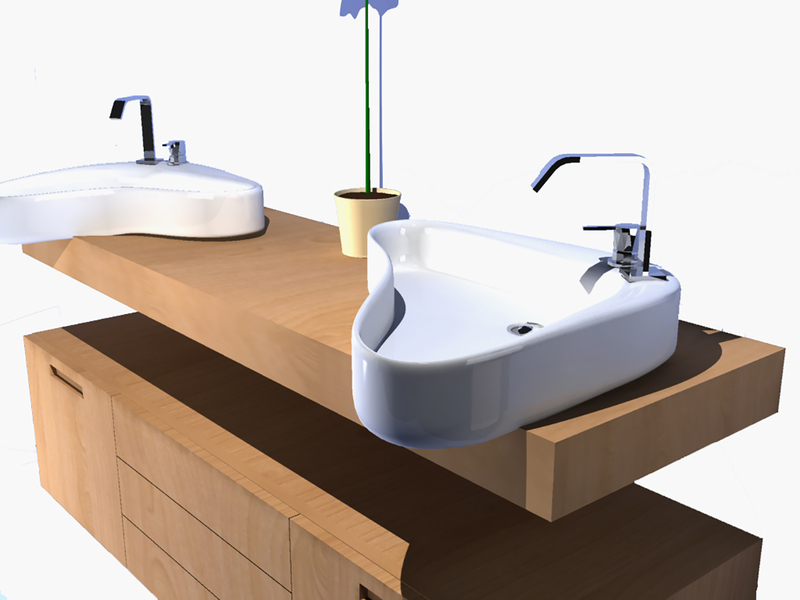 Danielle’s first projects using 3Ds Max in design school​. The use of sustainable materials always seemed like a no-brainer to me, not an emerging trend. I credit my childhood in Texas, where I spent day in and day out outside in nature. The natural world is home no matter where you live and we all have a responsibility to honor it by maintaining it. There’s a great weight (at least for me) and responsibility that comes with creating “things,” and I try to uphold sustainable practices that take into consideration the full lifecycle of a product. I believe my current study of Biomimicry is influencing me, my work, and the studio the most at the moment. Biomimicry is an innovation method that seeks sustainable solutions by emulating nature’s time-tested patterns and strategies; looking to nature to serve as a model for creating strategies to solve human challenges. This methodology is helping to shape and fine-tune the ethos of my design studio. How much time do you have? For starters, I’m fascinated by energy in all forms and applications: How it’s created, stored, distributed, converted. My current research is in solar and kinetic energy harvesting methods for the development of standalone modules for interior applications. I’m also curious about self-assembly as a viable construction method and manufacturing process as well as working with materials that lend to adaptive and transformative design. New developments in material sciences continue to inspire and influence my work along with the idea of returning to a more symbiotic relationship with the natural world within our built spaces. 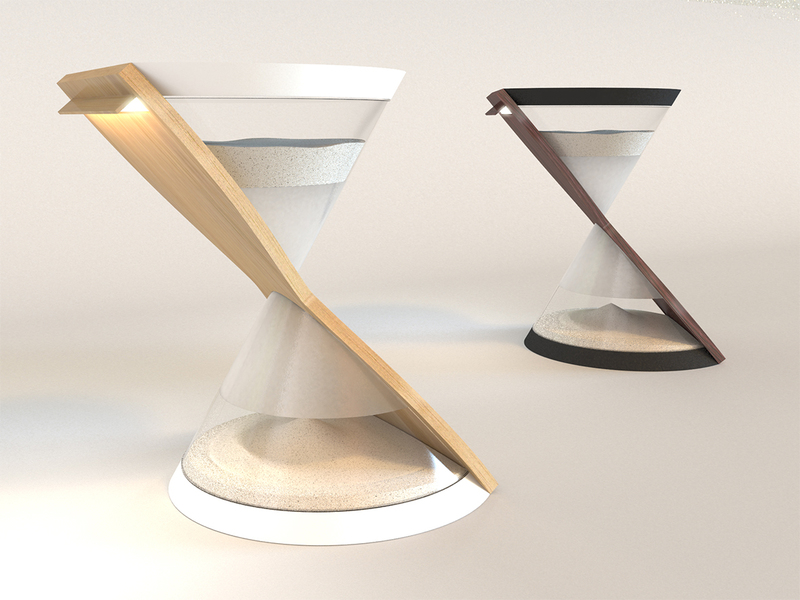 Sand-Powered Hourglass Lamps harness kinetic energy to create light (R&D phase)​. Are there projects you are currently working on that are integrating green design in interesting and new ways? I grow lampshades from mushrooms! The Mush-Lume Lighting Collection redefines what interior objects are made from and encourages a departure from conventional materials. 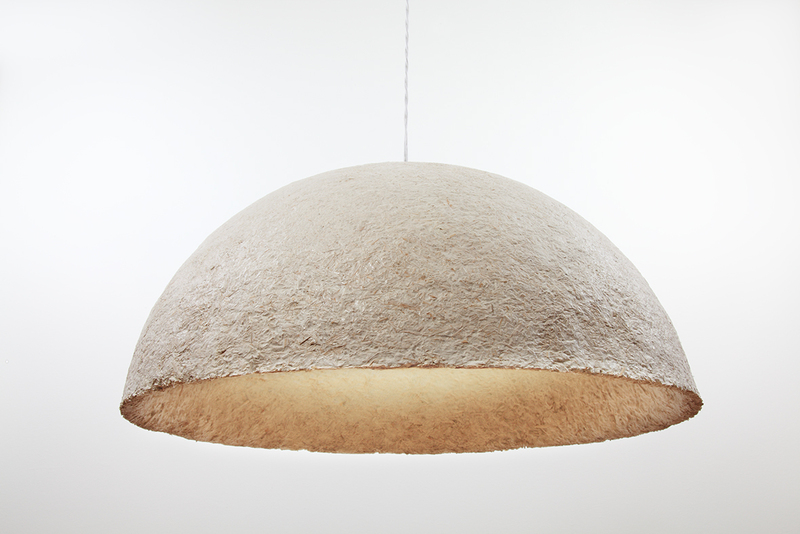 All the lamps are GROWN, not manufactured, from mushroom mycelium. The growth process uses agricultural byproducts, such as seed husks and corn stalks, and combines them with liquid mushroom mycelium. The mycelium then binds with these components and grows for several days in custom molds. When the growth process is complete, the material is heated and dried, ending the growth cycle. At the end of its life, the mushroom material can be broken into smaller pieces, then added to your backyard compost to fully biodegrade! Mush-Lume Hemi Pendant, grown from mushroom mycelium​. 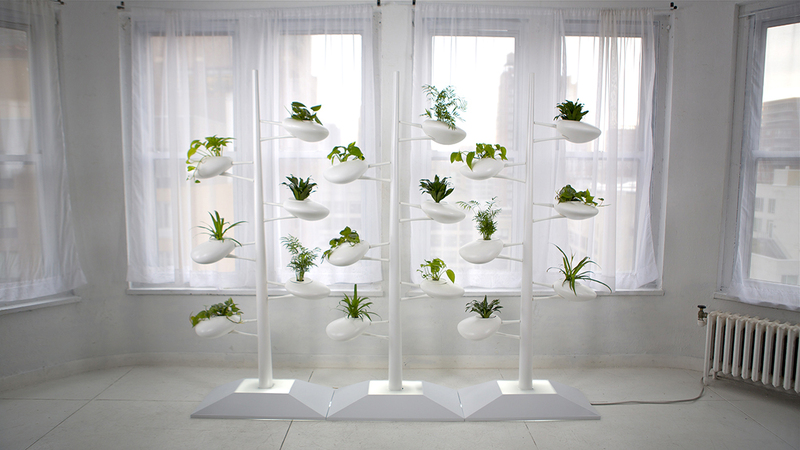 I have also been going through a redesign of a hydroponic vertical garden that I launched four years ago. It has gone through several phases of R&D and I’ve developed a much more modular, stackable, easy to use design that will be powered by solar-powered hydroponic modules. Hydroponics is a soil-less method of growing plants that uses less water, grows plants faster and healthier, and is interesting to use. The hydroponic vertical garden is designed to help promote urban gardening and the integration of living plants into interior spaces, and to get people excited and engaged with growing their own food! How do you use design thinking in your design process? What’s your favorite design phase and why? In general, my design process is driven by either a material or technology. First my ideas are birthed through a function-centric approach and then flow to the aesthetics and form visualization of the object. I’ll usually start with a few quick sketches to get the juices flowing but then I quickly move into 3D modeling programs (remember, I can’t draw). Autodesk Fusion 360’s sculpt function empowers this free form hybrid of sketching, sculpting and forming. My 3D models quickly move into 3D prints and before you know it I’m building the prototype with a mix of raw materials, off the shelf hardware, and custom 3D printed parts. I enjoy getting my hands dirty, so as soon as I can get to the prototyping phase the better. Testing comes next, which almost immediately leads to some form of failure and then you’re back to the modeling, the fabrication, the testing. Iterate, iterate, iterate until the last step is the most expensive step, the “shine-y” prototype. 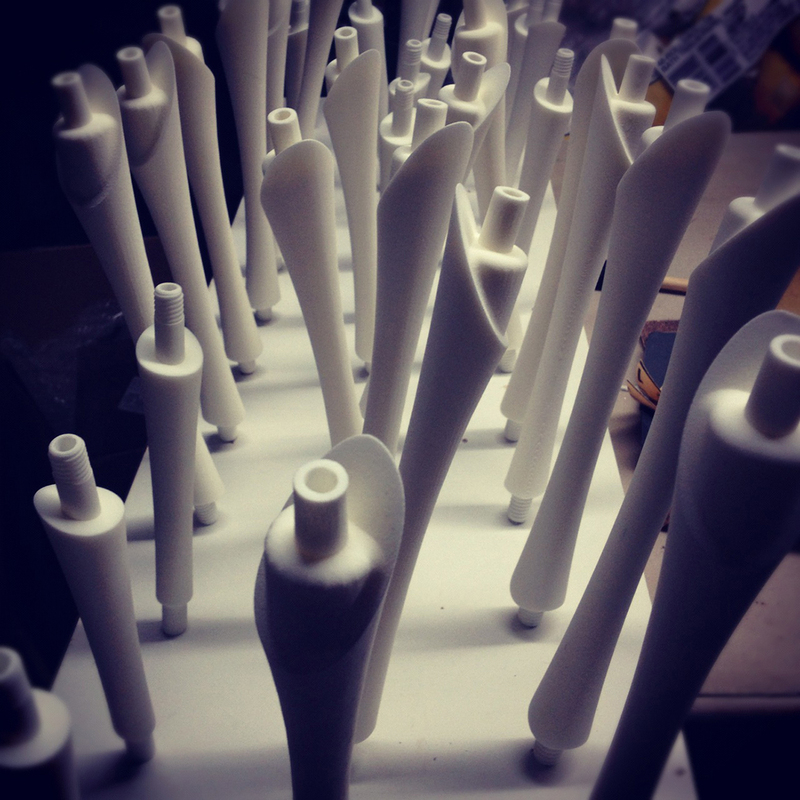 Prototyping with 3D printed parts​. How does the use of Fusion 360 influence your designs? Fusion 360 is as much of a sketchbook for me as it is a powerful product development tool. During the sketching phase, I mainly use Fusion’s freeform modeling and sculpting tools, as well as working with solid modeling. Having the ability and ease to rapidly create and manipulate forms within the software really does empower the designer at the conceptualizing stage. It’s also nice to see all the variations and iterations of my designs in the left-hand project bar for easy referencing, just like a sketchbook. Assembly and CAM are new to me, but extremely beneficial features that will come in handy down the line for fabrication. I also use Fusion to create renderings and animations for communication materials and as deliverables for clients. The added ease of the 3D print export function saves so much time when using my MakerBot for prototyping. 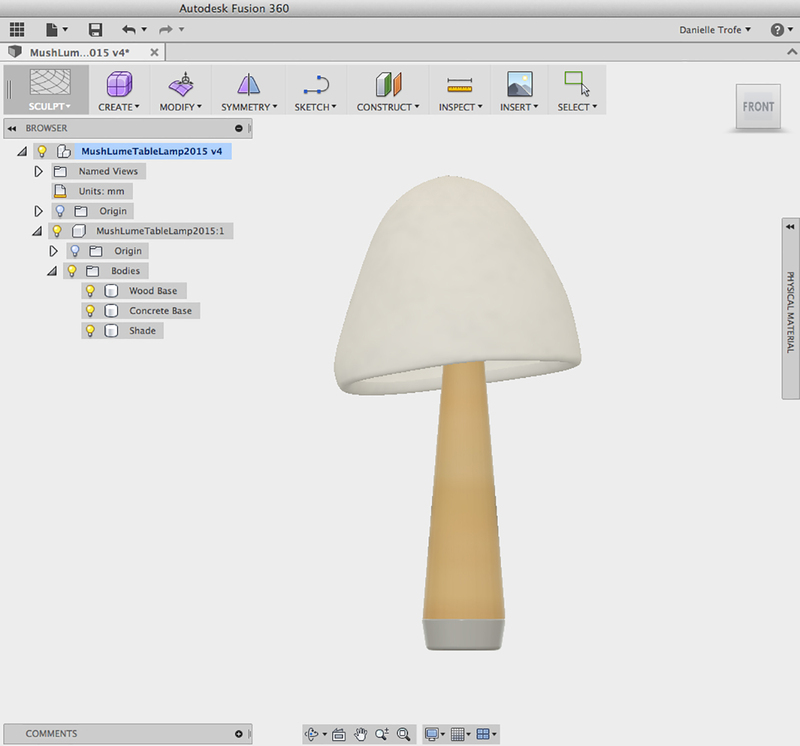 Modeling in Fusion360 & 3D Printing custom molds to grow lampshades from mushrooms. Patience. It really is a marathon and not a sprint. Well, I guess it feels more like interval training with burst of sprints sandwiched between jogging for 26.2 miles rather than a slow, steady pace throughout. Also, fail. Fail and learn how to enjoy failing. There’s so much to learn by doing. If you have an idea and you’re not sure if it will work or not, there’s really only one way to find out. Do it, fail at it, learn from the process, do it again, fail again, learn more. 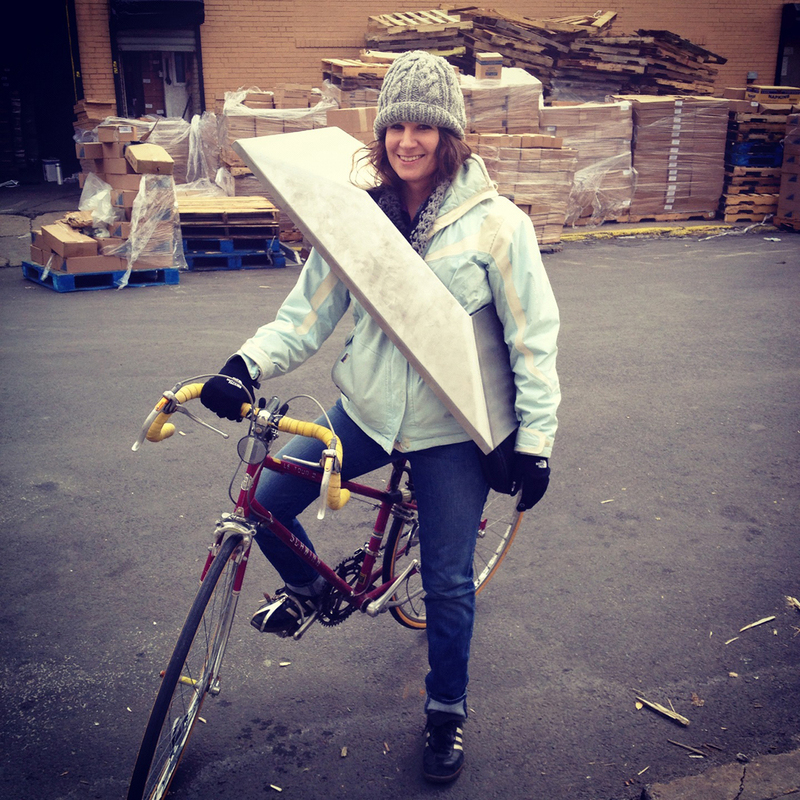 Danielle riding her bike around Brooklyn with her prototypes. Design your own desk lamp with Fusion 360.